Like last year, I made some puzzles for XVII Polish Puzzle Championship. On 19th January 2013, Qualification round was held online at SFINKS Fundacja Rozwoju Matematyki Rekreacyjnej web page. As a result of this, best 40 solvers were invited to the finals. 4 puzzles from me appeared in Qualification round, they were Spiral Galaxy, Magic Summer, Rectangles with the wall, and Range. Here is the Qualification round. 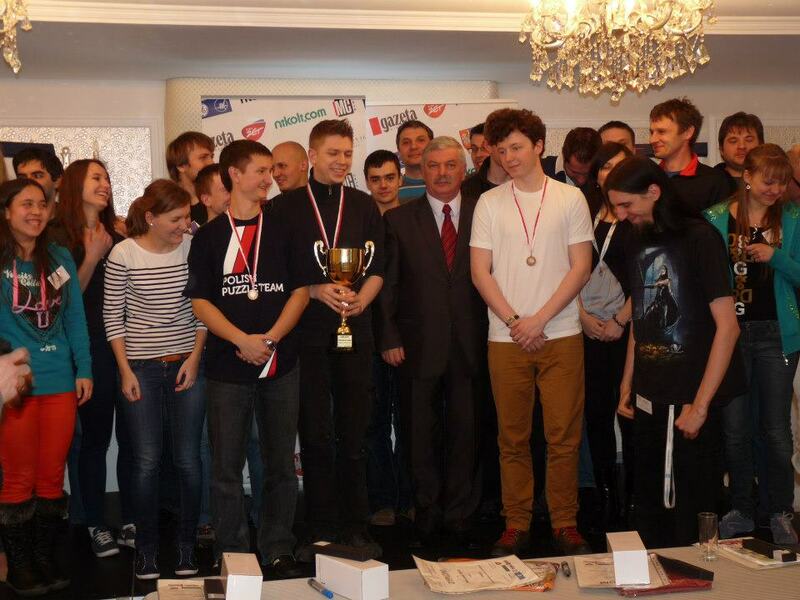 On 9-10 March, puzzlers competed with 5 different rounds to qualify for the play offs. I made a bunch of puzzles, and they were placed in Round 2. They were Tapa, Operation Tapa, Skyscrapers, Skyscrapers Blocks, Snail Sudoku, Bosnian Road, Smashed Multiples, Wittgenstein Briquet and Magic P. Like last year, I made one puzzle for play offs. This time it was Statue Park, Palmer’s puzzle type. Some links which contain event’s photos and videos were shared in Sfinks Forum; also similar photos were shared in Sfinks’ Facebook page, Agnieszka’s F. page. Bu yazı Puzzle Competitions içinde yayınlandı ve puzzle competition, Sfinks olarak etiketlendi. Kalıcı bağlantıyı yer imlerinize ekleyin.